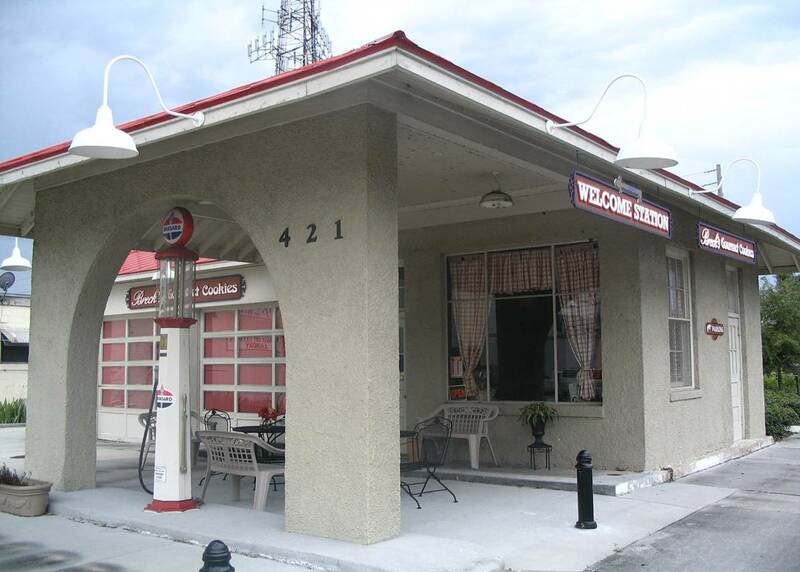 Kissimmee has established a welcome center in a rehabilitated 1926 Standard Oil gas station. Kissimmee (population 47,814) was first developed as a commercial focal point of the so-called Disston Purchase, 4 million acres of marshland and plains purchased by entrepreneur Hamilton Disston from the State of Florida in 1881. The community grew through the early 20th century with the expansion of Florida's cattle and citrus industries, and has experienced significant development following the creation of nearby Walt Disney World. But Kissimmee has preserved many of its historic properties, and its historic core has been listed in the National Register of Historic Places. Tourists will soon be welcomed at a new welcome center in a rehabilitated 1926 Standard Oil gas station. The city is working to promote other adaptive use and rehabilitation projects through financial incentives and matching grants. During the past five years, over $264,000 in grants has leveraged almost $1.4 million in reinvestment in the downtown. The city also provides grants for storefront improvements and provides a restoration architect to work with property owners. Last year, the city's Historic Preservation Board launched its first annual Home Renaissance Expo, where workshops and exhibits assist homeowners in preserving their historic houses.